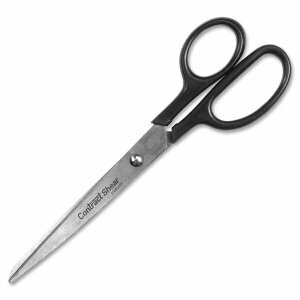 Strong and lightweight, these all-purpose stainless shears are perfect for use in home, office, school or industry. Blades are nickel-plated and rust-resistant. Black handles are made of plastic. Trimmers are made for right-handed or left-handed use.